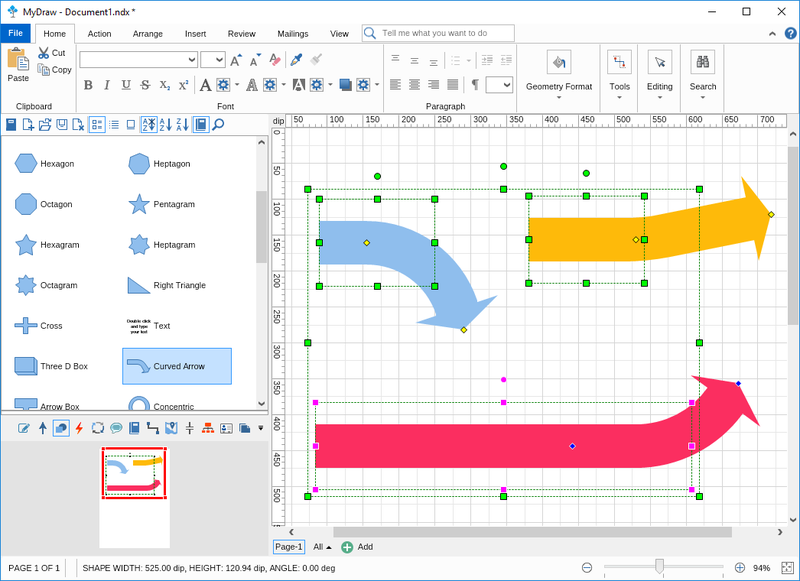 MyDraw comes with a number of smart shapes to help your diagram authoring experience. 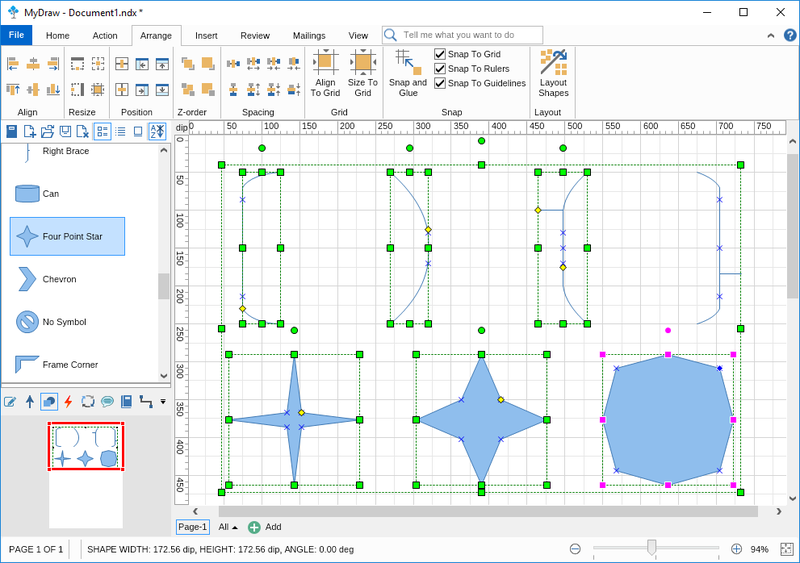 Smart shapes have additional controls which allow you to quickly change various aspects of the looks of the shape and adjust it to your preferences. 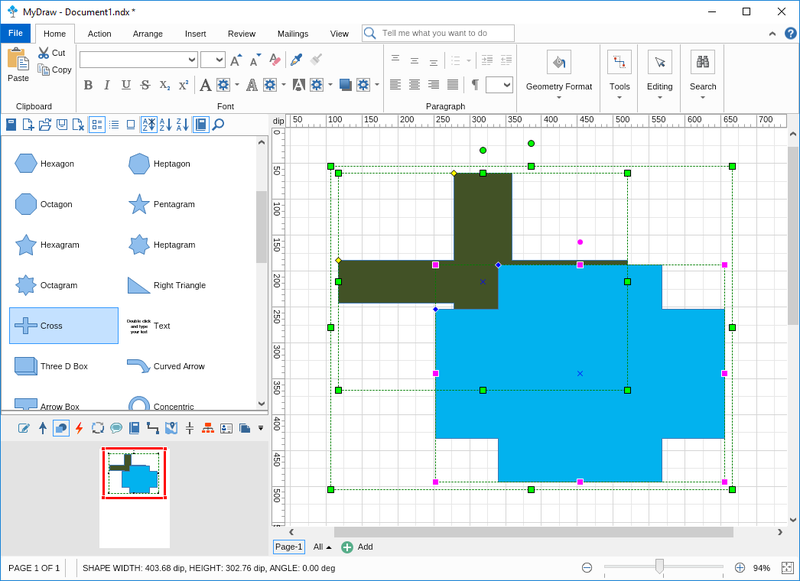 Below you will find some examples of smart shapes and tips on working with them. The smart rounded rectangle has a control handle which is presented by a small yellow dot. 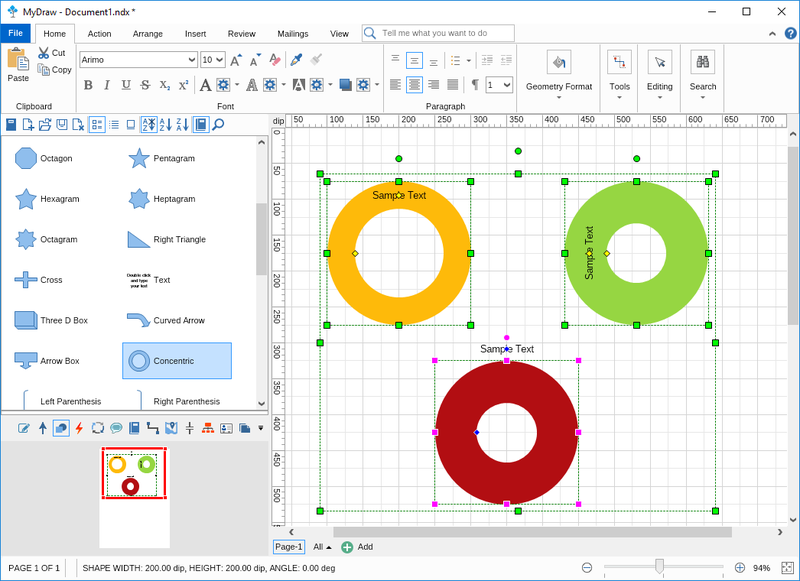 You can drag the dot to adjust the degrees of roundness on the corners of the rectangle. The cross smart shape comes with two control handles, allowing you to drag and modify each side of the cross. By default those handles are yellow. 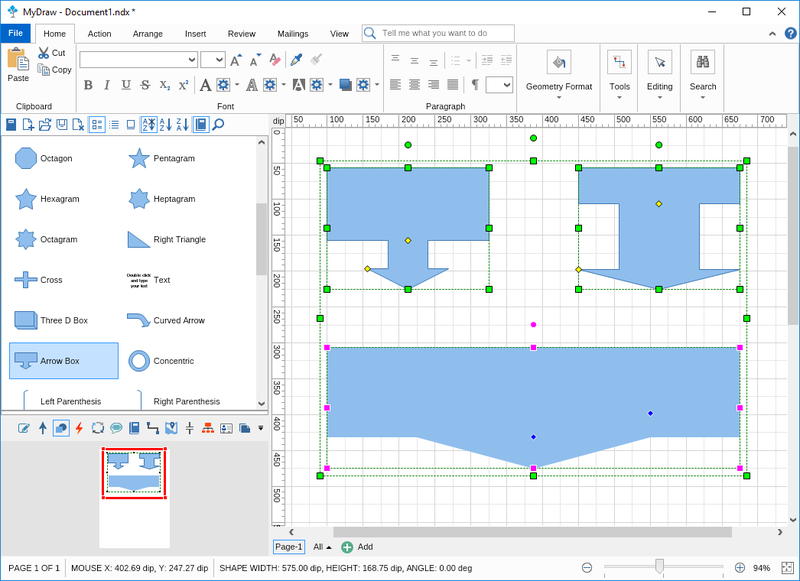 When selected two or more crosses the color of those handles of the Anchor (main) shape change to blue as you can see on the image below. 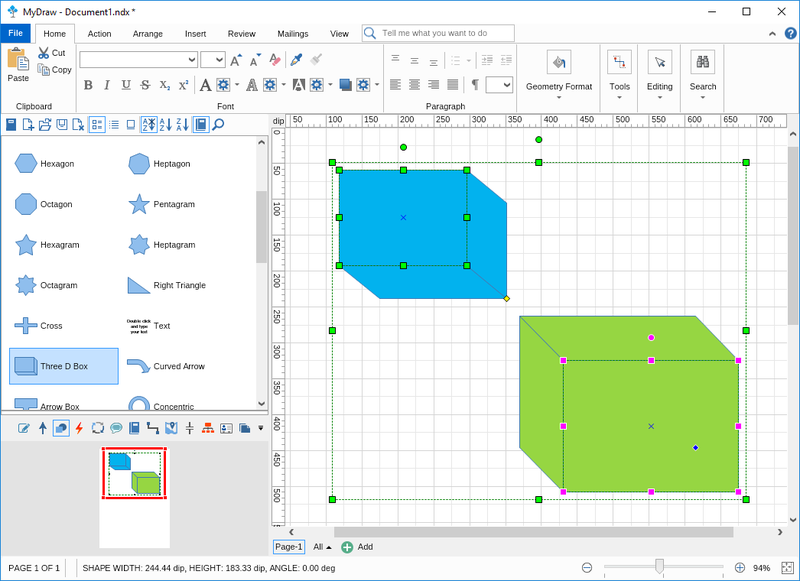 The 3D box smart shapes is created combining 3 plates, each of which has its own fill color and outline properties. If you'd like to change the color of a specific plate you need to click it twice, with a small pause between clicks (instead of the typical double-click). 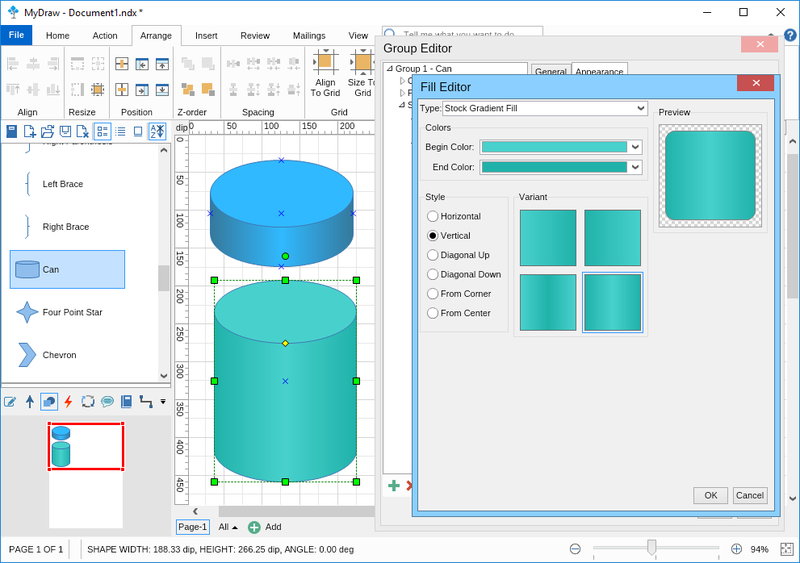 First click is to select the group of shapes (the 3D box is actually exactly that - a group of shapes, combined), and a second time to select the specific plate you will be working with. The curved arrow smart shape is an arrow which you can curve in various ways as you can see on the image here. It has two control handles. The first one, closer to the beginning of the arrow controls the type of corner you make (wider or sharper). The second control handle, located at the end of the arrow, controls the arrow's length and direction. The Can smart shape is a 3D looking shape, created by 2 plates and easily modified by one control handle only. This control handle changes the aspect of the top plate. 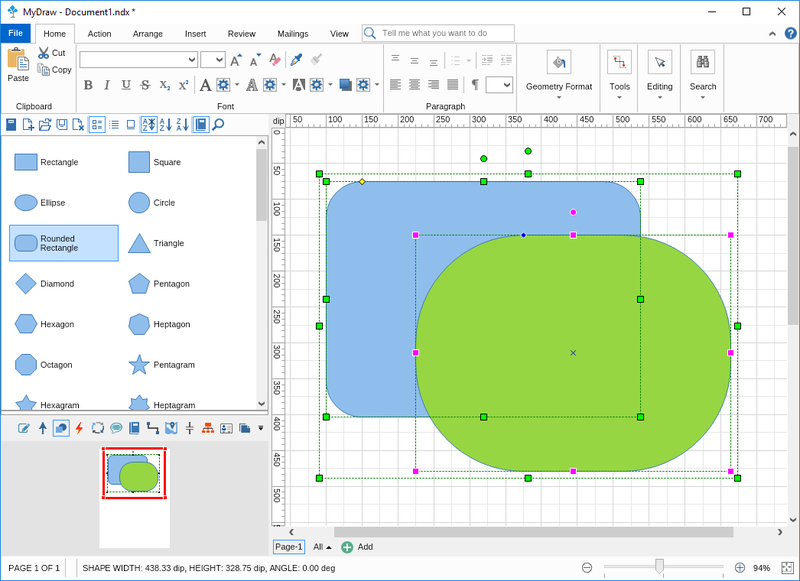 To modify the fill color, stroke, and other visual aspects of the shapes, right click and go to Group Properties --> Shapes --> Each Shapes Appearance tab.